Fancy getting Christmas Dinner sorted for only £8.47? Done! Thanks to Lidl’s Best Buys, you can tuck into fresh British turkey for only £4.49/kg and crisp up some roasties with Harvest Basket potatoes at only 69p. 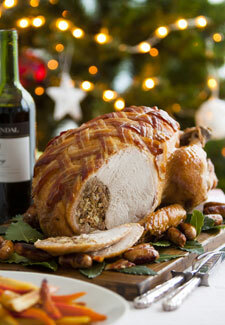 No Christmas day dinner would be complete without pigs in blankets; Deluxe pork in bacon are priced at £2.79. Nibbles are an absolute must during the holidays and Lidl has got that covered too. Savory treats such as Butter and Cheese Twists are now only 79p and Vintage Reserve Cheddar is down from £2.99 to £1.49. If you’ve got more of a sweet tooth, a range of Fox’s biscuits are 54p each and Belgian Sea Shell chocolates are down to £1.49.